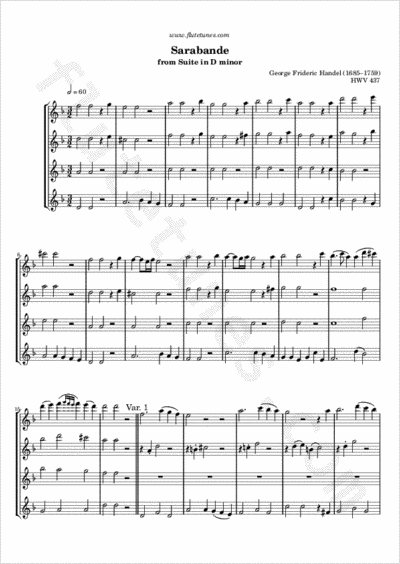 This arrangement for four flutes of George Frideric Handel's famous Sarabande in D minor was kindly contributed by Bruno. You may have heard the piece in one of the many movies that featured it, such as Kubrick's Barry Lyndon. An arrangement of the same piece for flute and piano is also available in our collection.